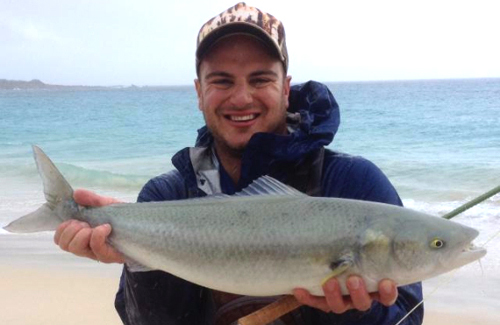 Fishing for salmon in the Easter holidays is an iconic Western Australian thing to do. 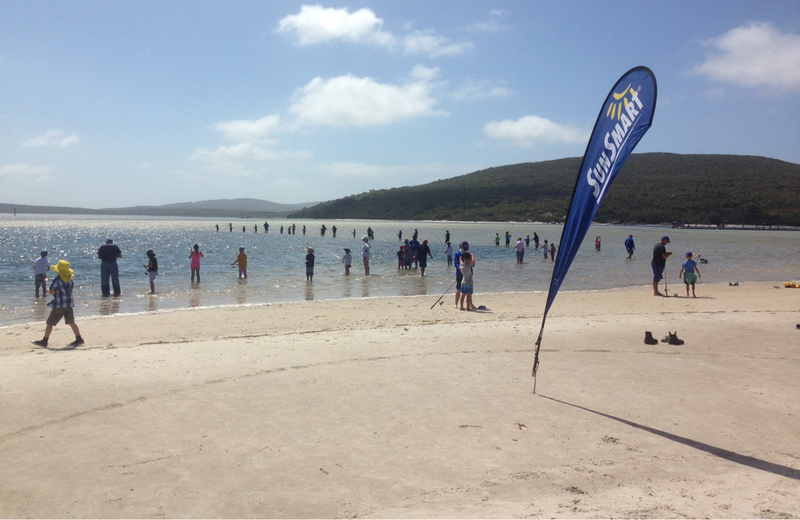 Salmon schools are usually large and can be spread from Esperance all the way to Fremantle depending on the stage of the migration and the size of the run. 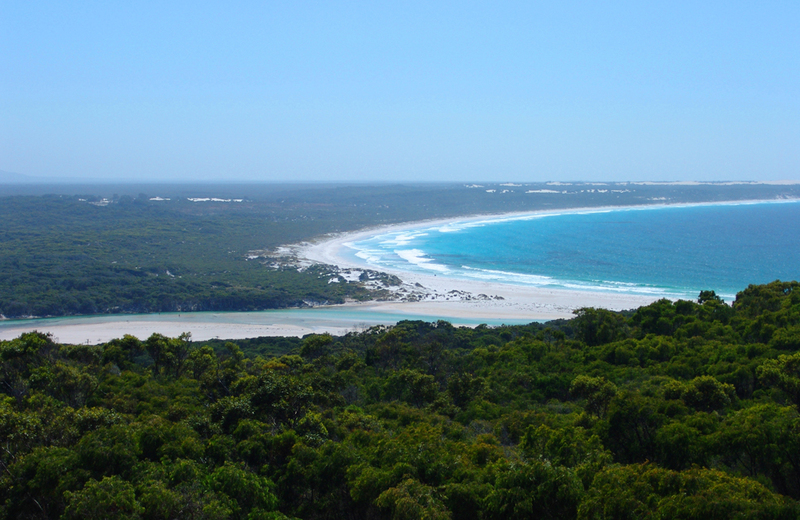 Probably the most popular spot to chase salmon schools is between the capes on the south west corner of WA. With the amount of picturesque beaches in this area it is hardly surprising. 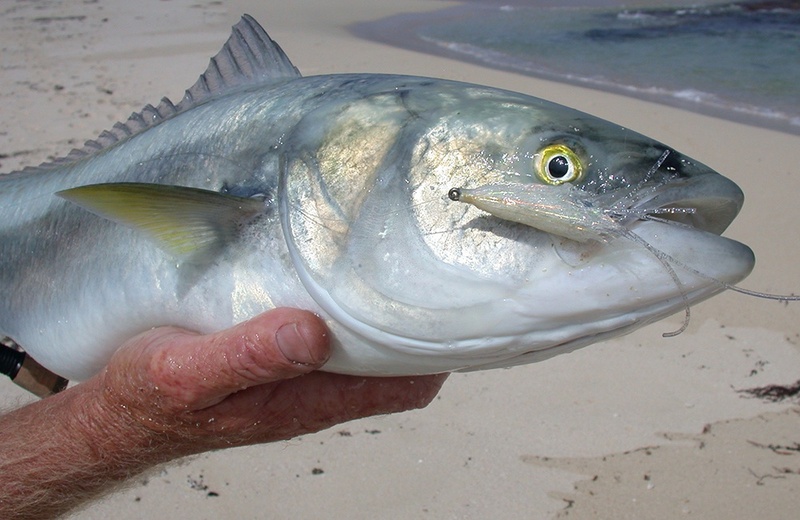 Importantly it is wise to remember that just as many, if not more salmon, can be caught from the beaches than from the rocks, so if you have the choice keep the sand between your toes and stick to the safer beach fishing option. 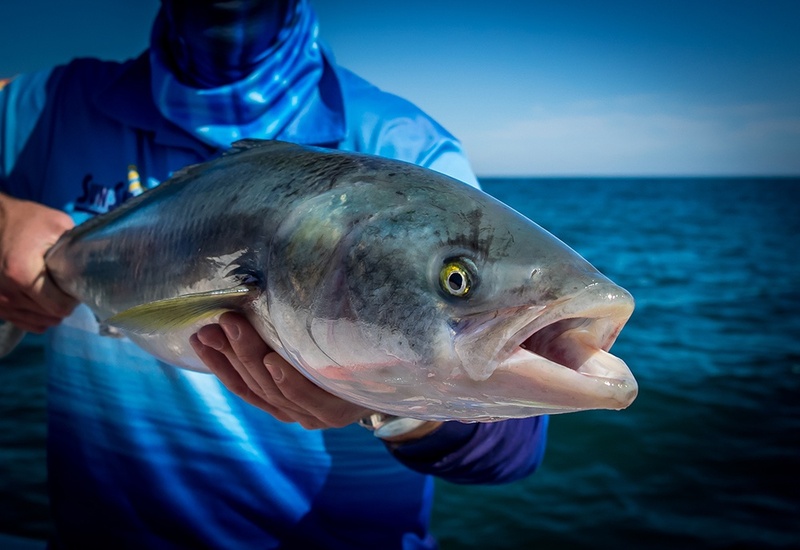 Fishing tackle for chasing salmon from the beach is pretty similar to fishing for tailor, however, given the schooling nature of salmon, lures can be and are a very good option and pretty much any manner of lure is suitable. Probably the most favoured lure would be the Halco Twisty. 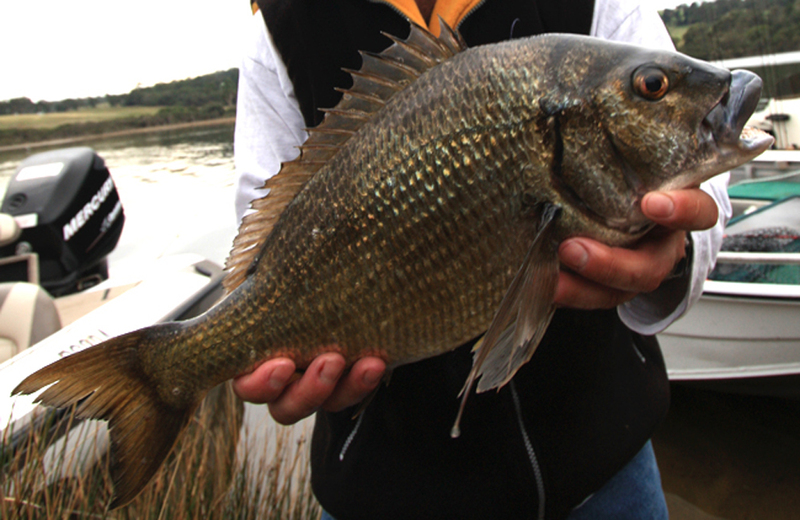 Soft plastics on a jig head, bibbed minnows, poppers and lipless stick baits are all good and reliable options too. 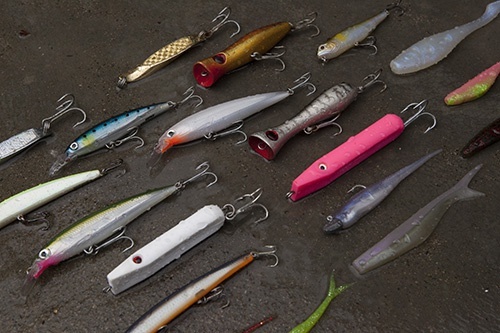 Just remember you’ll need enough casting weight to allow you to cast far enough to get your lure close to the schools of fish. 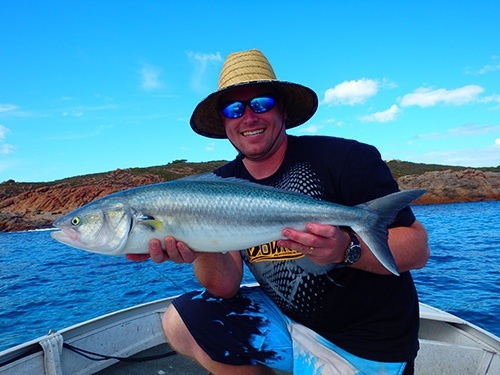 When fishing with lures, after you have caught a few or if you are purely fishing for fun, crimp down the barbs on your hooks to make them barbless or rig your lures with specialised single lure hooks to make unhooking and releasing easier. 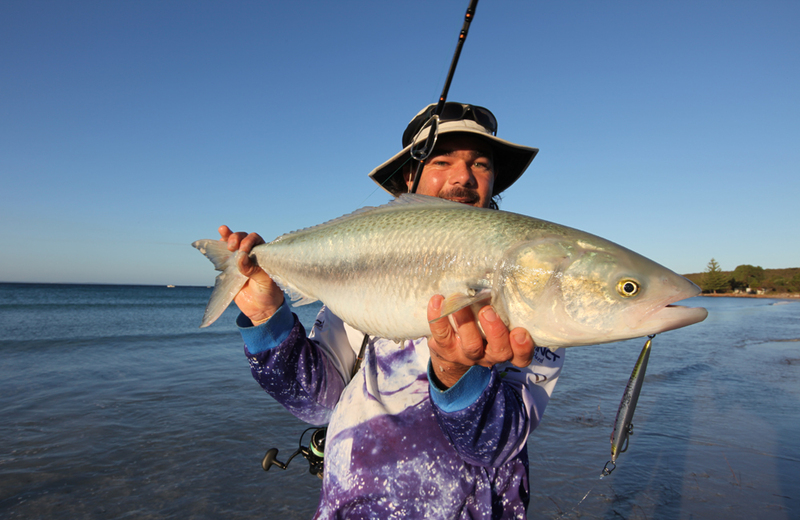 If bait is your preference then mulies, herring, gardies or mullet are all great choices. With this you will most likely need a sinker to allow you to cast far enough. Although with a well balanced outfit you can expect to get great results by simply bait casting the weight of the bait if you can. 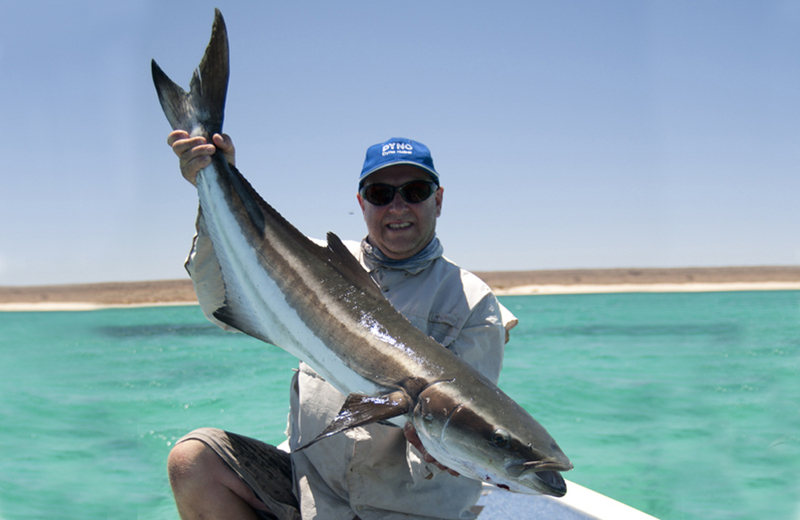 Leader for salmon can be anywhere from 10 to 15kg and preferably clear, although sometimes it really will not matter. If salmon are proving hard to hook and you are seeing schools, try dropping down in your leader strength. 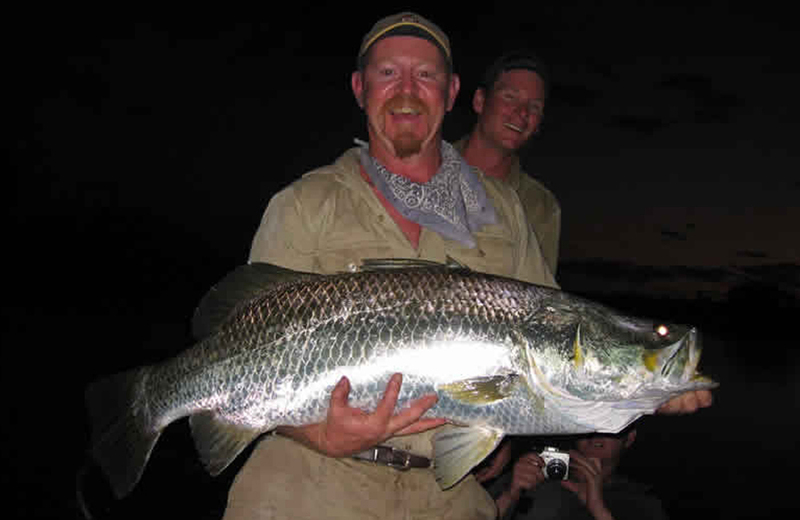 Most people will choose to fish with rods rated to around the 6 kilo to 15 kilo range. 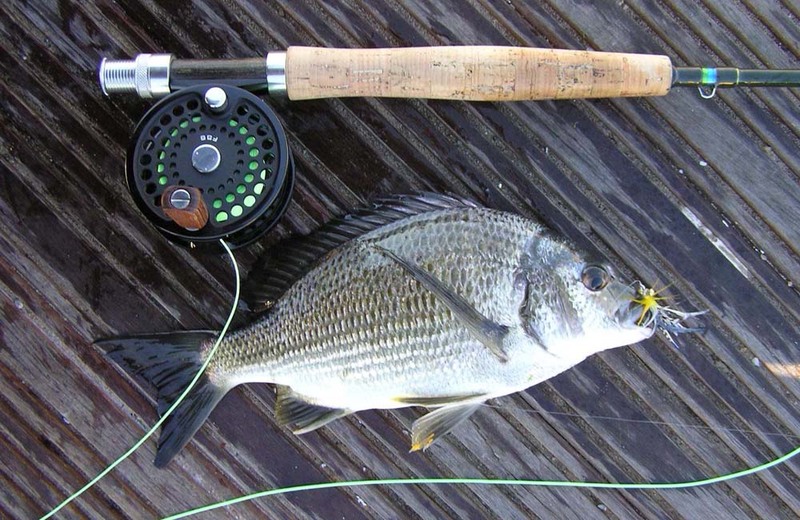 Most rods in this range will be fine, just get the appropriate rod for the purpose, i.e. 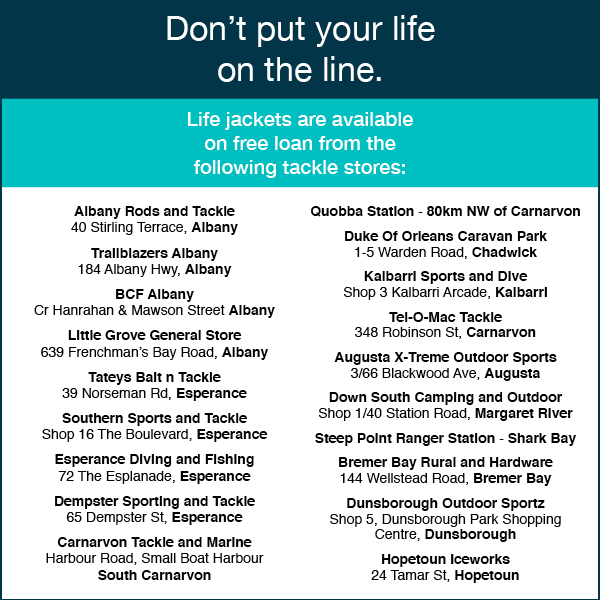 whether you are fishing from a boat, shore or jetty. 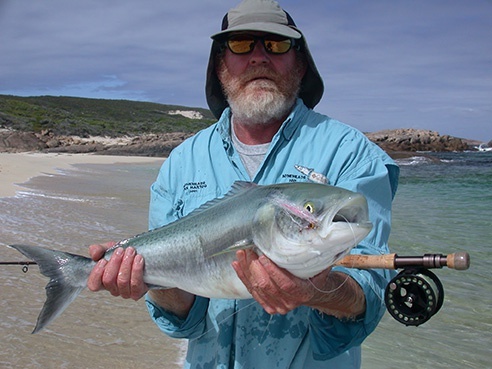 Fly fishing from a boat or when schools are travelling close to shore is also a great option if you are into salt water fly fishing. One of the stand out flies for salmon is the white deceiver. If you are fishing from a boat, remember you will need to have your recreational fishing from boat license before heading out. 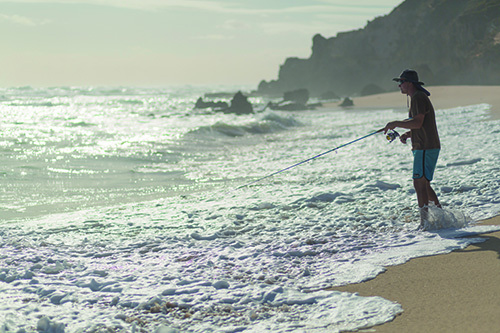 Check out our Fishing Safety page for more tips on staying safe while fishing. 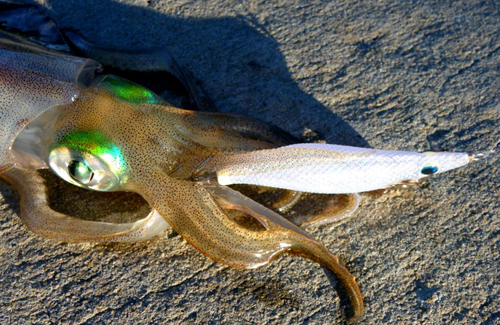 Working a lure through deep gutters close to shore can yield pleasing results. 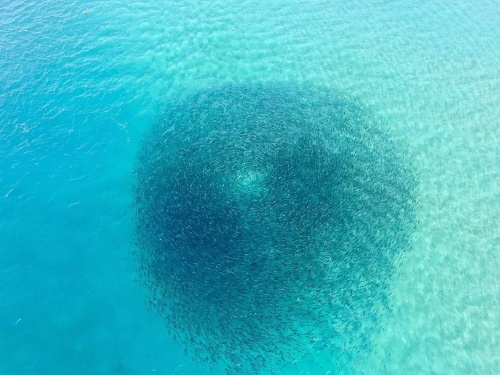 Every year during March and April, large schools of salmon are often spotted off Perth’s metro shores and off the south western coast on their annual migration to warmer waters. The schools can be seen as large, dark masses moving along the coast, often with birds flying above them looking for a feed of baitfish. 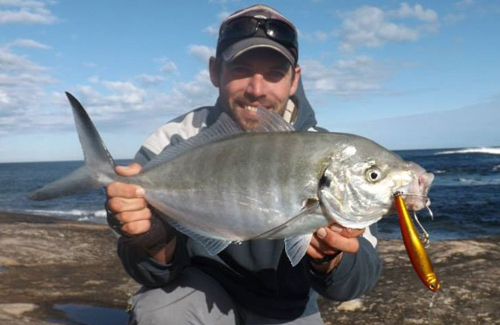 Casting into these schools will just about guarantee a catch and, due to their competitive nature, you will often find several hungry fish greedily attacking your bait of choice. 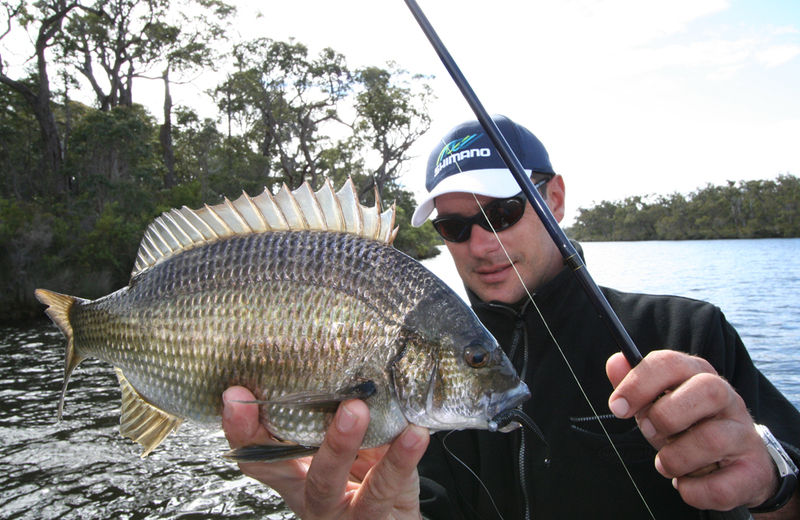 Check out our Metro Shore Guide, our Metro Boat Guide, our Albany Guide or our Fishing Reports to find the best places to catch this exciting species. 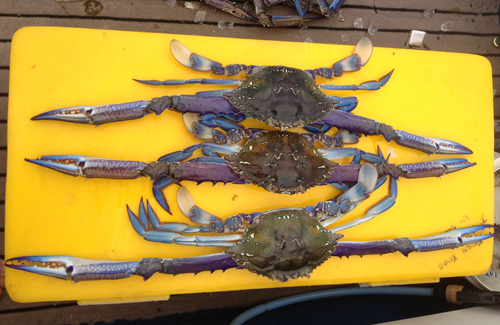 Found from Kalbarri in the north to the South Australian border in the south. Most salmon are found in relatively shallow water and mostly close to shore off surf beaches or rocky cliffs and headlands. 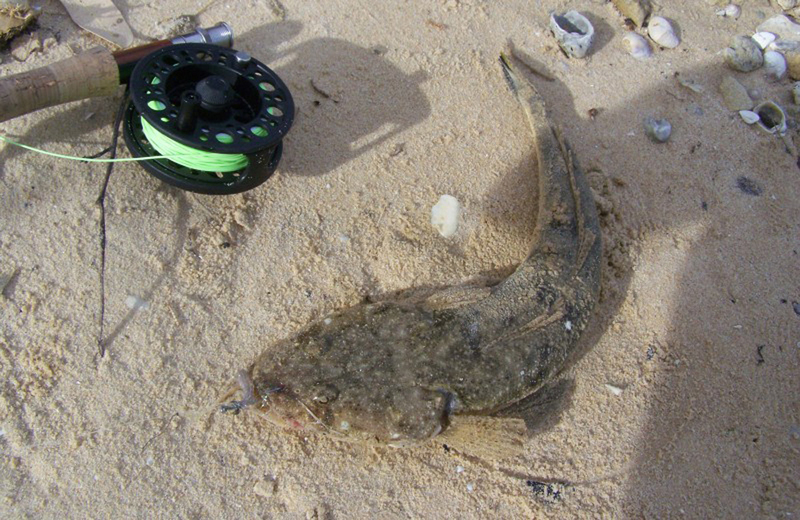 Increase your chances of catching! 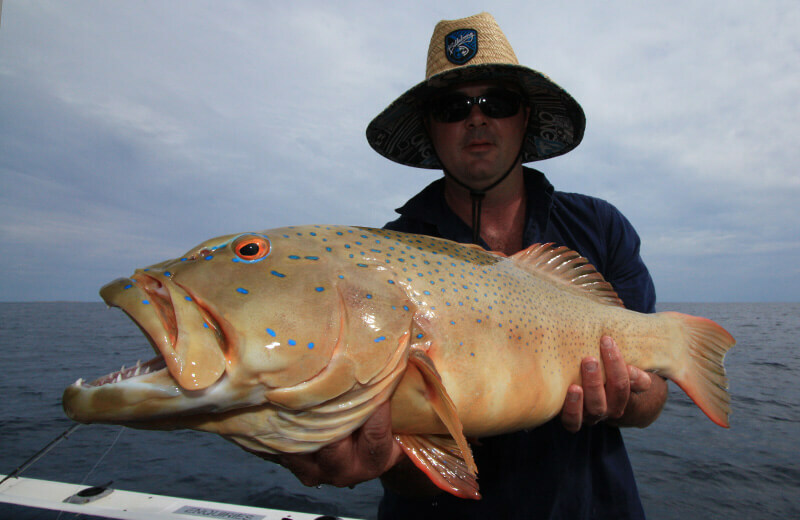 Before heading out, find out where the fish are biting throughout Western Australia in our Weekly Fishing Forecast. 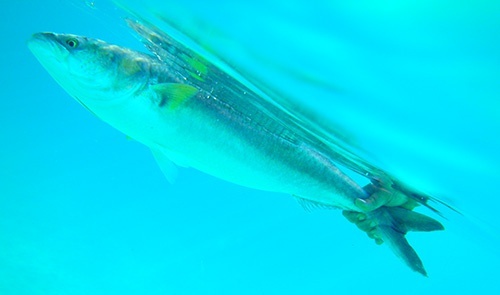 Juvenile salmon can be mistaken for adult Australian herring but juvenile salmon have a black spot in front of their pectoral (side) fins and lack the black tips to their caudal fin (tail) and large eye of herring. Salmon have a grey-green to blue back with brown dots or dashes, fading to silver towards the underside. Salmon have a dark forked tail and often a yellow eye. They form large schools that travel together, generally hugging the coast. 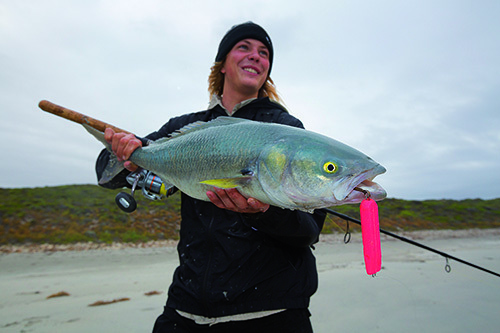 WA salmon can reach 9kg, although most are caught between 3 and 5 kg. 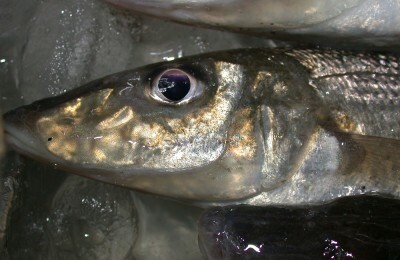 Juvenile salmon are often wrongly identified as herring by recreational fishers. There are some key differences between juvenile salmon and herring and using the new Recfishwest app is the easy way to avoid this mistake. Download the iTunes App here or the Android app here. 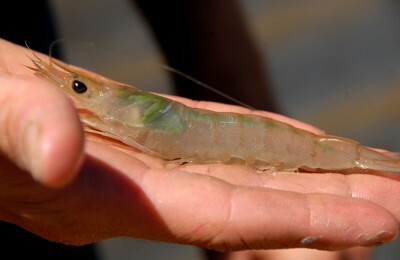 If bled and properly cleaned immediately after they are caught, Australian salmon is indeed edible. Check out the Catch Care and Cooking tab above for some great tips on preparing salmon for the table. 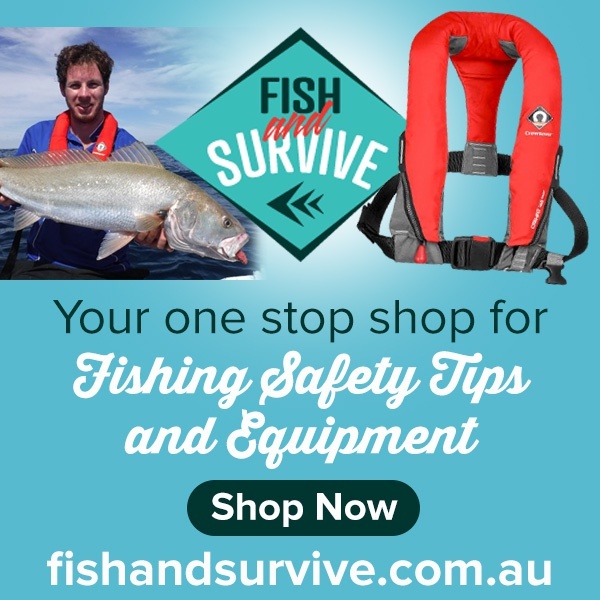 There are size restrictions and bag limits in place for Australian salmon. Please check the rules thoroughly before heading out. Up to date information on size restrictions and bag limits can be found here. 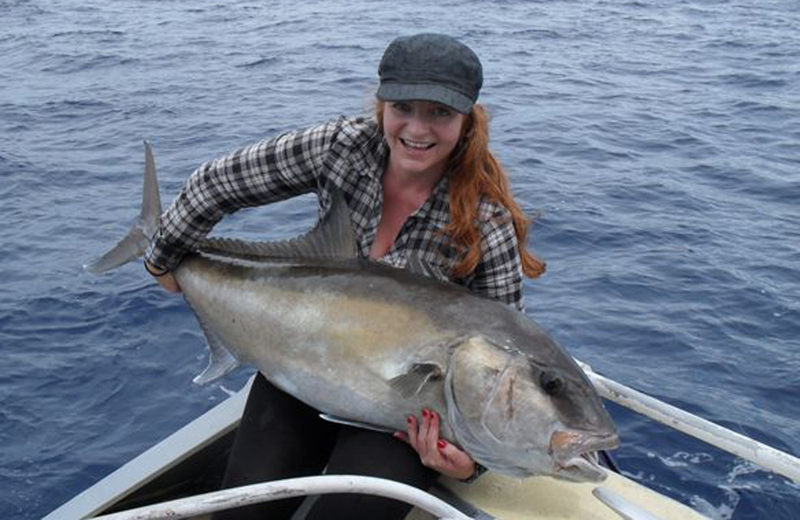 If you are a skipper while fishing for salmon from a boat you will need to have a Skipper’s Ticket. 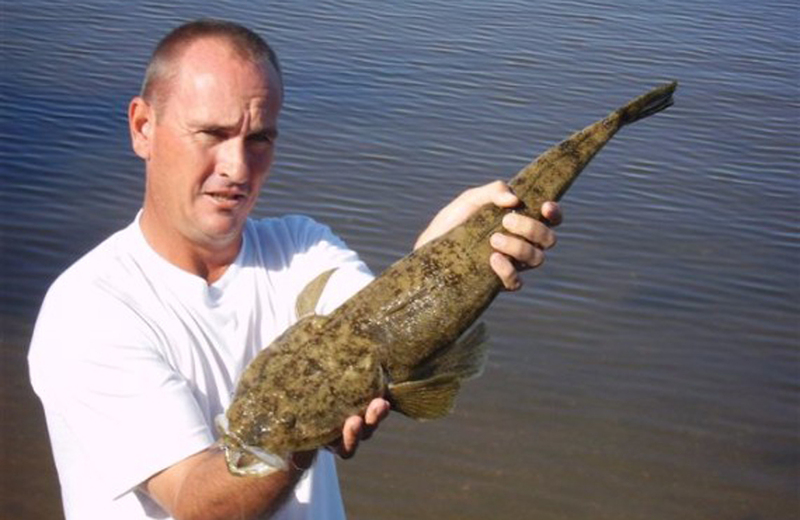 Please remember to always fish for the future and return unwanted or undersized fish back to the water unharmed. 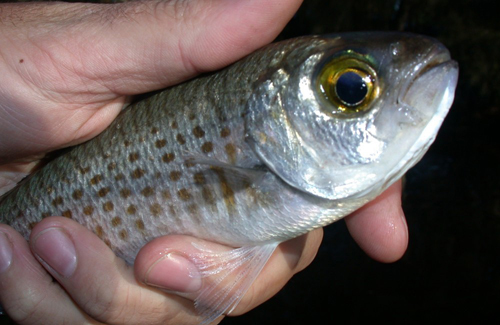 Read more about how to safely release fish here. 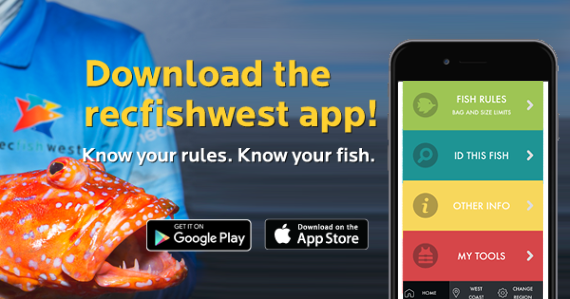 Stay up to date with the latest rules and regulations by downloading the Recfishwest App available for iOS and Android. Salmon are a relatively tough fish and if landed quickly and given a little care, they release well. 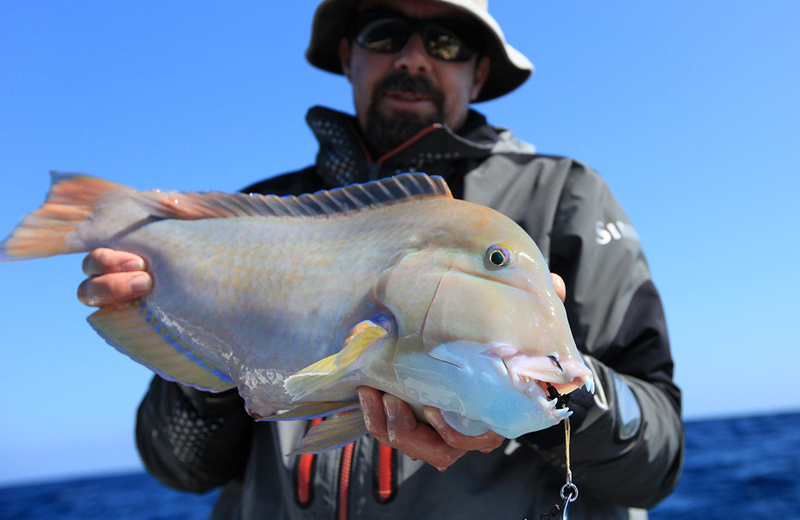 To ensure your catch survives the release, consider using single hooks instead of trebles and better still, make them barbless. If you are planning to keep your catch for the table, it is important to dispatch, bleed and place your catch into an ice slurry immediately after capture to ensure the best possible eating qualities. Being a southern cold water fish, salmon are full of healthy omega 3 fatty acids, making them a tasty and healthy option provided they are dispatched and prepared correctly for the table. An important tip to remember when preparing fillets is to remove the red meat from the middle of the fillet. This leaves a nice, clean amount of fish protein that can be prepared in a number of ways. Fillets are best barbecued or smoked. They are also fantastic for fish curries as the fillets hold together well.